A private and spacious executive estate. Open the gate and wind up the driveway to the hilltop plateau, home and country view. Enter on the main to an 18' high foyer and living room to view the mezzanine display, 8'11" ceiling on the rest of the main floor. 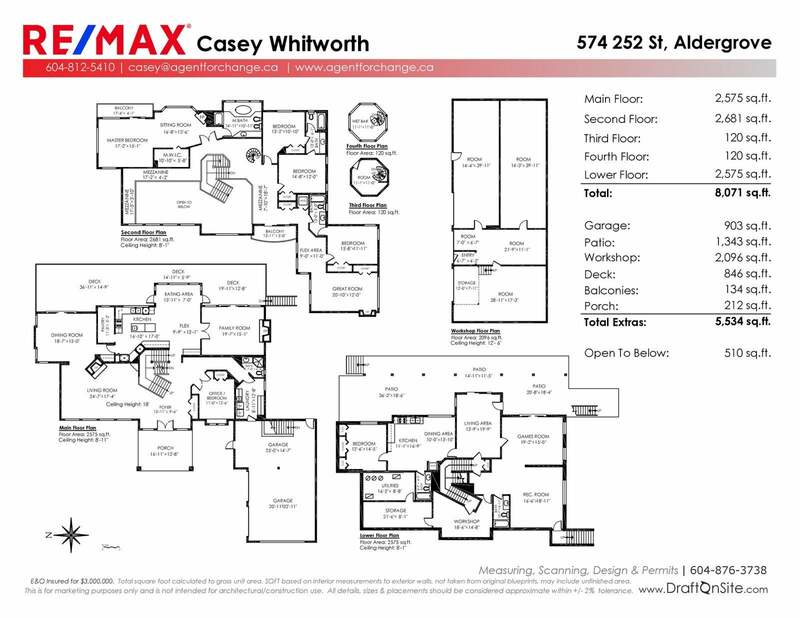 To begin to understand how much is here you need to view the floor plans. Eneready heat recovery ventilation system, 2 septic tanks and separate fields, concrete stairs to the balcony from both ends, 2x6 framing on the ground level, engineered floor joists above and cork flooring below, 8'1" ceilings, a kitchen and washer/dryer closet for a large daylight walkout basement, The 4th and 5th floor is a unique space and lookout. This is a very cool property that we've tried to capture with aerial shots. A treed park-like area, deer trails, an area and inconspicuous building for livestock, winding driveway, a 12'x14' garden shed with an overhead garage door filled with tools and a riding mower, garden, hothouse, a detached 600 amp workshop that is over 2000 sqft. and the large grassed area around the home to enjoy including a fire pit seating area for lively conversations. MLS# R2331718 listed for $2,100,000. Viewing by appointment with your realtor. Accepted offer Subjects to be removed by March 8. Now SOLD.